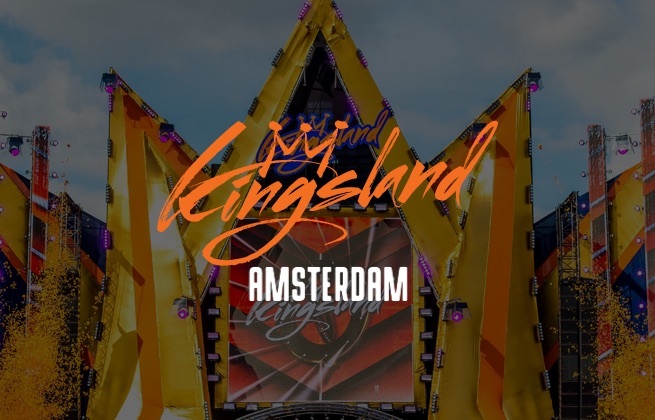 This ticket allows you access to Kingsland Festival Amsterdam 2019 on April 27th from 12:00 - 20:00. 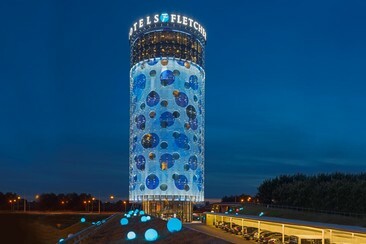 Set in a landmark cylindrical tower, this luxury ultra-modern hotel is a 15-minute walk from the Holendrecht transport hub, 9 km from the Heineken Experience brewery tour and 3 km from live music at Ziggo Dome. You can also explore Amsterdam Arena and Amsterdam South Axis which are all within a 10-minute drive away from Fletcher Hotel Amsterdam, while Amsterdam RAI is 6.5 km. The city centre is a 15-minute drive. Fletcher Hotel Amsterdam guarantees a carefree and unique place. The modern hotel has its own SKY Bar & Lounge and SKY Restaurant Pi. Here you can have a nice drink and dine with a breathtaking view of the beautiful city. Each room has a view over the direct surroundings, flat-screen TVs, heating, free Wi-Fi access and the private room with shower/bath and towels. Located only 300 metres from Amstel metro station and Amsterdam Amstel train station, the Hotel Casa 400 boasts excelled connections to Amsterdam's city centre, the Museum Square, and Waterlooplein Square. 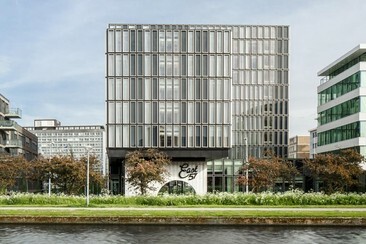 The Hotel Casa 400 Amsterdam is a modern design hotel that features 520 contemporary guest rooms that are outfitted with a variety of amenities. The hotel's East57 restaurant serves local dishes, salads, and cheeses; and the on-site wine bar boasts a selection of over 100 wines, and also has a snack menu. Other hotel amenities include: bicycle rental, packed lunch service, extra long beds, underground on-site parking (fees apply), a vending machine for snacks & drinks, an airport shuttle (fees apply), a 24-hour front desk, luggage storage, laundry services, and a gift shop. Kingsland Festival Amsterdam is the capital's outpost of the nationwide electronic music festival series. April 27th is King's Day in the Netherlands, celebrating King Willem-Alexander's birthday. Last year Kingsland Festival grew to five simultaneous parties across the country, bringing some of the biggest DJs in the world to the King's Day party. Draped all in orange, everyone at this party is charged and ready to hear big beats and bigger drops backed by state of the art stage production. The RAI Amsterdam is a large indoor and outdoor event space with a capacity of around 13,000.